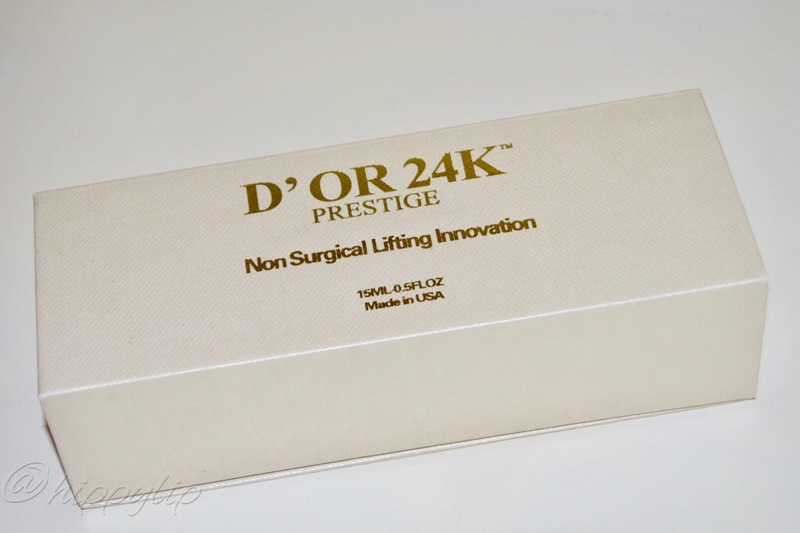 D’OR24K Prestige Non Surgical Lifting Syringe, Ready For A Shocker? The product I have today will not only shock you, make you think it’s a trick, or cause skepticism, but it is by far the most innovative lifting product with 100% results that I have come across. I’ve tried many that were ok and even really good. They provided some results, but D’OR24K Non Surgical Lifting Syringe had me second guessing all previous products in this category. Let me start by saying this product was sent to me in exchange for an honest review. As always, my reviews are my opinions alone and always 100% honest. It took me a bit to write this review partly because I wanted to try it a few times to see if my skin developed a tolerance for fear that it would only work great the first time. Also, I was in such disbelief that I had to physically show someone else so that I knew I wasn’t insane. D’OR 24K is a Miami based ultra-premium skin care retailer serving discerning consumers worldwide. We understand our customers’ need for quality skin care products and we strive to bring them the best the skincare world has to offer. We hand select every ingredient that goes into our products to ensure they offer effective, reliable results our customers can depend on. 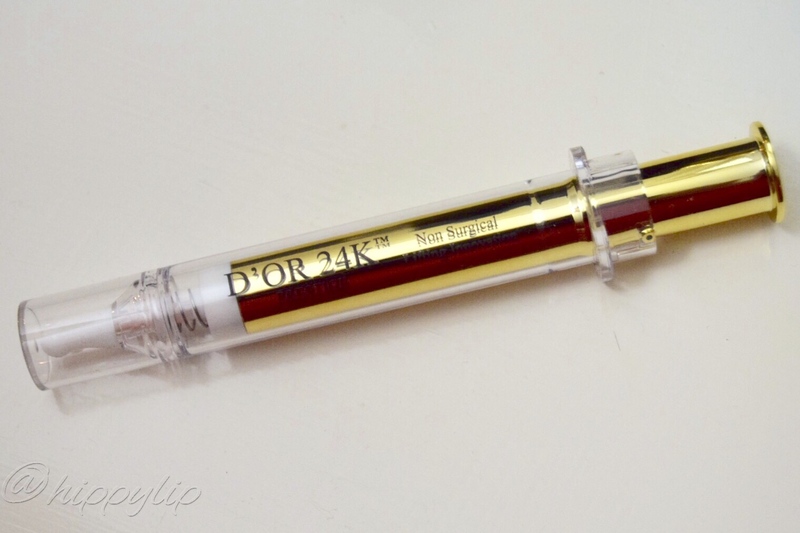 Non Surgical Lifting Syringe from D’OR24K Luxury Skin Care. Whether you want to use this product every day or just for special occasions, the results can be dramatic. As you feel the product begin to work, you will see sagging tissues and puffiness disappear. You’ll be amazed at how much just one drop can do. 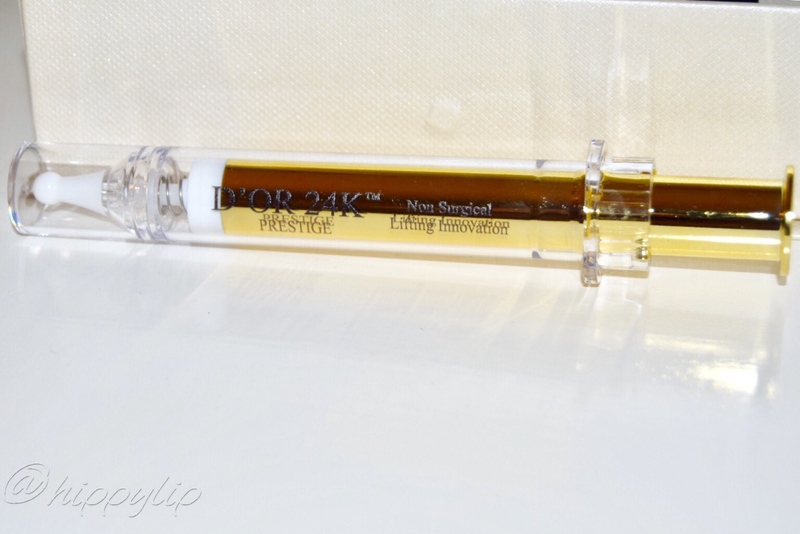 Using ingredients like sodium silicate and magnesium aluminum silicate, the Non-Surgical Lifting Syringe from D’OR24K tightens the skin and lifts wrinkles while absorbing excess facial oil. The Non-Surgical Lifting Syringe also includes green tea, which not only reduces wrinkles, but also helps prevent sun damage, tones skin, and works on many skin problems such as psoriasis or rosacea. Clean your face thoroughly and pat dry. Stir the product in the container. Using your finger, smooth on (do not rub) a very thin layer on your face, including upper and lower eyelids. Keep your face as expressionless as possible until the product has dried. Do not use lotion or a liquid makeup product. You may apply powder makeup. A white layer on the face means you have applied too much. Smooth over any white areas with a damp finger. Close jar tightly after using to prevent the cream from drying. Note: in the rare instances you may experience an allergic reaction. If this occurs, wash the product from your face. As soon as I opened this package, I knew it was luxury on a level I’ve never experienced. The textured pearly white box with gold lettering has a magnetic closure. 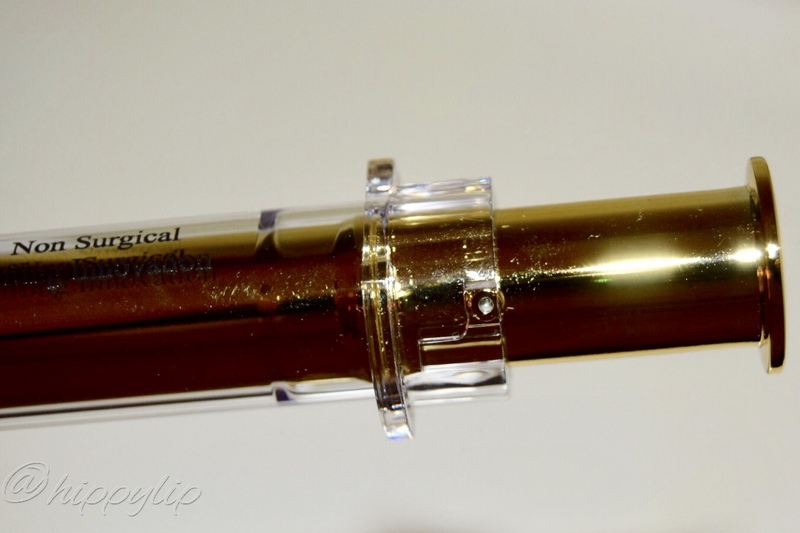 The box is designed to perfectly house this beautifully large shining gold syringe. The Syringe snaps back into it’s place of perfect crown-like display. It’s so pretty that I’ve been using this as decor on my vanity. The syringe itself is spring-loaded so when the plunger is pressed a pearl-size amount dispenses each time. The unique part of the syringe is that the plunger has a twist lock mechanism so you can’t accidentally push the plunger and waste product. You have to twist to unlock then press down. 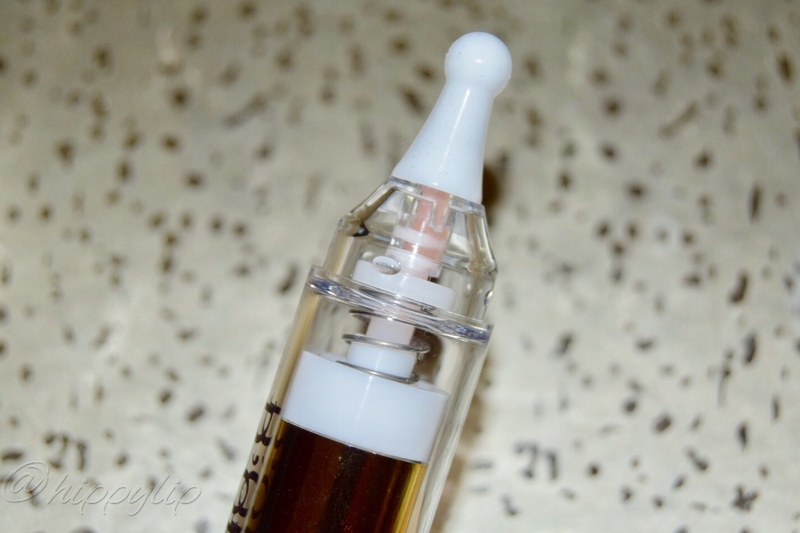 There is a rubber cap covering the syringe style tip with a narrow dispenser for accurate guidance. The bright gold made it really hard to photograph and my pictures can not give you the justice this deserves. I followed all directions and started with a clean dry face. My target areas were the eyelid for fine lines, under eye for fine lines/bags/dark circles, and the corner of the eye for crows feet. I dispensed one injection on the tip of my ring finger. I gently started to pat the product around my entire eye starting under, then corners, and working my way up to the lid. I instantly felt a tightening/tingling feeling with each pat. I repeated the process on the other eye. I remained expressionless for 60 seconds even though the first eye was probably well past the 60 second mark. The results I saw were astonishing. 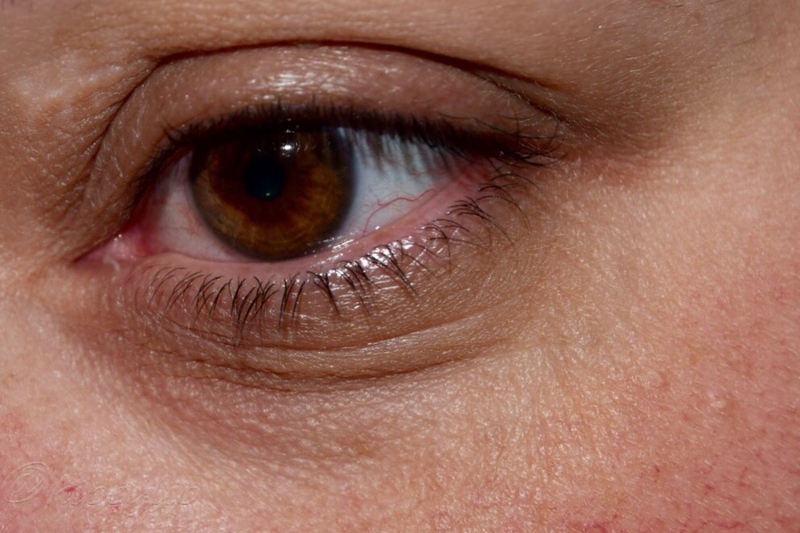 Not only were my eyes completely void of bags and dark circles, the skin was taught and smooth. It was hard to see the real difference in pictures because I had done both eyes so I repeated the entire process on one eye so you could have a clearer picture of what D’OR 24K Non Surgical Facelift was capable of. During the second go round, I had my husband and son take a close look and neither of them could believe the difference in my eyes. It really made the non treated eye look like hell. This product is magic! There is no scent that I can pick up on. The product is pale pink and dispenses enough, in one pump, for both under eye areas. The tightness/tingling isn’t obnoxious, it’s just a strange feeling that made me certain something was happening quickly. 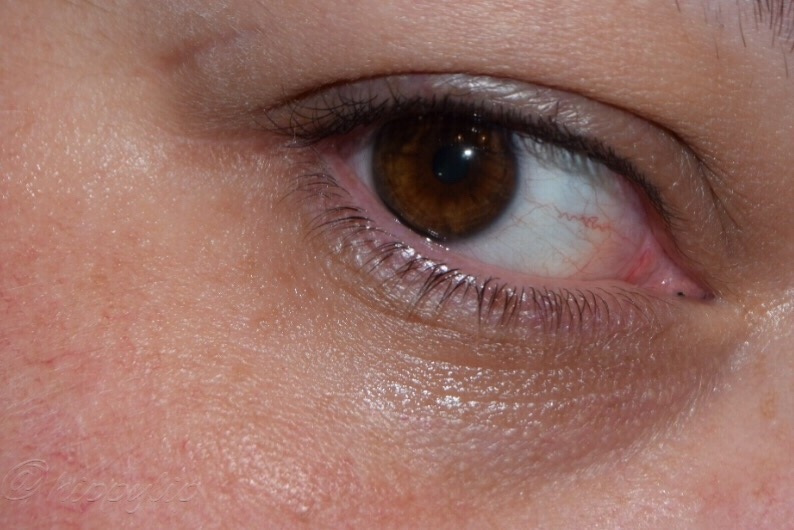 The only issue I had using one full pump on one eye was entirely too much and caused some white residue. I smoothed that over with a damp finger and the residue was gone. I can 100% recommend this to anyone trying to combat fine lines, bags, and dark circles without hesitation. It’s pricey but lives up to every single claim. I personally will save the remainder of this for special occasions. I did not need a concealer or any sort of brightening product under my eye because it was bright enough. D’OR 24K Non Surgical Facelift retails for $650 USD. You can use PROMO25 at checkout for 25% off! 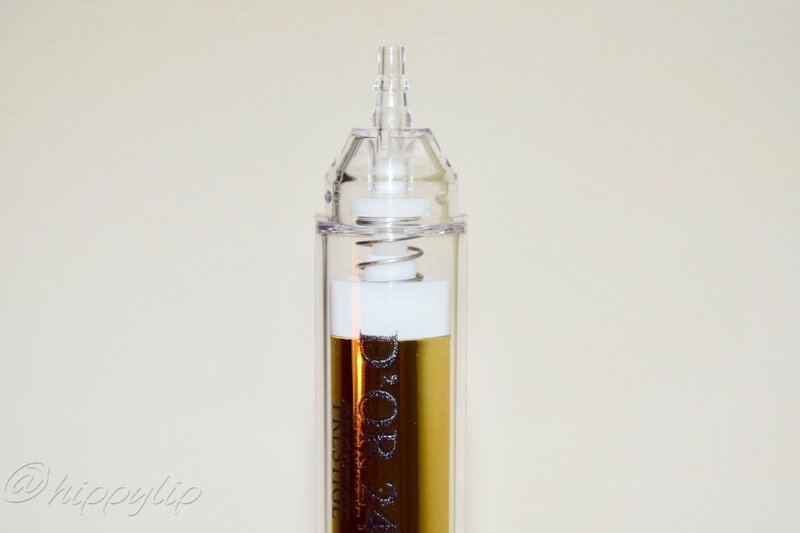 Learn more about D’OR 24K and their full line of luxury skin care products. Disclosure:I received this product in exchange for an honest review. All opinions are my own and 100% honest. What do you guys think of my results? Give Me Some Lip! Disclosure: I received this product in exchange for an honest review. All opinions are mine & 100% honest! What do you guys think of my results? Have you tried any products like this? Give Me Some Lip! I just purchased this yesterday at the mall. Amazing price so I thought why not. I was in the ‘spending’ mood. When I got home I started reading the reviews? I was told to use it once a week at night then after a month, once a month would suffice. Is this accurate? I thought it would be overall beneficial for my skin and in time my facial lines would lessen not only to be used daily under makeup. Appreciate your perspective. I’m glad you purchased it. I had a good experience with it overall. I actually enjoyed the immediate result so I applied it in the morning about 3 times a week because It instantly smoothed my fine lines. By the time I finished the first syringe, I saw improvement. I hope this helps. I’m over 60 and was conned into purchasing this product for $500. It was great for about 45 minutes- then it no longer works for me. I am left with a white residue that excetuates my wrinkles even more. My face also feels very dry and my skin is normally not so. I was not happy! Want more- I can’t get my money back and I don’t want the stuff!!!!!! Hi Marilyn. This post is older but I remember that I also had the white residue but it happened as soon as it dried. My instructions said that it meant I was using too much and had to add water. It was a little frustrating getting the right amount. When I did finally get it right, it worked for me. I’m sorry it isn’t working and I’m surprised that the company doesn’t have a guarantee or at the very least send you a new one. What if you received bad batch? Thanks for reading. It works like magic. It’s expensive!! Thank you! I hope you had a great Christmas as well. Happy New Year! Wow! Those results are amazing!!! I knew anything like this existed. I know it’s crazy isn’t it? The price is steep for these kind of results. Lol. I find myself saving it for special occasions. Thank you. I was really happy with the results. I would love to try it on someone over 60 to really see what it can do. Thanks for stopping by and don’t forget to checkout my giveaway. Aww that’s stinks. I really like how it works and my skin doesn’t feel tight but it could be that I have several fine lines instead of deeper single lines. I found that it didn’t work as perfect on my forehead where my aging lines are deeper. Don’t stop smiling….you are beautiful and I never noticed the wrinkle thing anyway!! I have crepey skin. It’s fine – completely smooth – but if I smile then I’m screwed! Every time I walk into my cosmetic surgeon’s office, I’m like “LOOK LOOK HERE”. HEELLLPPPP!